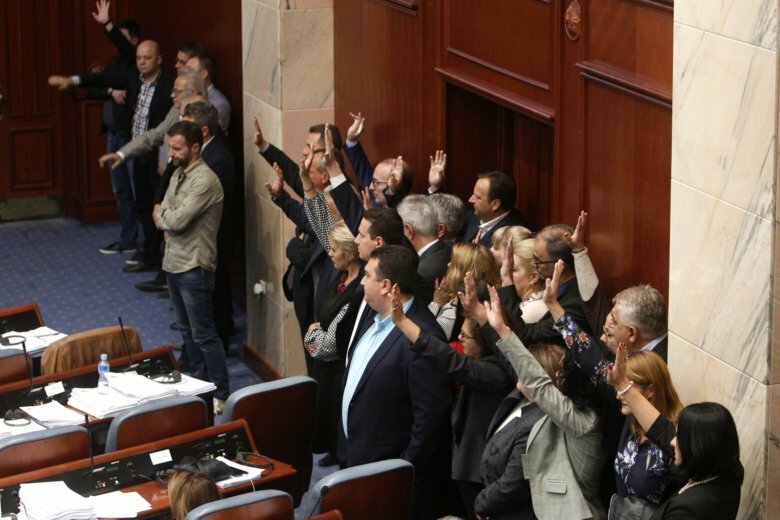 SKOPJE, Macedonia (AP) — Macedonia’s interior minister said Monday that additional police protection is being provided to lawmakers who voted to support a deal that would change the country’s name. Parliament voted 80-39 late Friday in favor of the government’s proposal for the amendment that would rename the small Balkan country as North Macedonia. The government received cross-party support despite fierce objection from the opposition conservatives, who claimed that at least three lawmakers had been offered bribes. Western officials have strongly supported the deal, which could reduce Russian influence in the Balkans. On Monday, the United States’ deputy assistant secretary of state visited Skopje and praised the parliament decision. “I would like to underscore that the Macedonian people can rely on U.S. friendship and support,” Palmer added. The amendment process is expected to take months. After it is completed, the last step in enacting the name change deal will be taken in Athens, where Greece’s parliament is to vote on whether to ratify the agreement. Greece has long objected to Macedonia’s current name, arguing that it implies claims on its own adjoining province of Macedonia and on ancient Greek heritage.